Ikea will start experimenting with selling its famous flatpack furniture through online retailers as part of a wider push to become more accessible to shoppers. The Swedish chain - known for its vast edge-of-town outlets - is also testing a smaller city centre store format. Other innovations include order and pick-up points and standalone kitchen showrooms. The moves are a response to changing shopping patterns. Ikea has has not said which websites will be part of the test, but Amazon and Alibaba are thought to be likely contenders. The chain sells many of its 9,500 products on its own website, but was a late arrival to the online retail market. 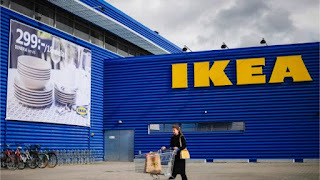 Torbjörn Lööf, chief executive of Inter Ikea, told the Financial Times it was "the biggest development in how consumers meet Ikea since the concept was founded. We want to learn ... we want to find out how we could keep our identity on a third-party platform."